Eighteen FC Barcelona players will be making Sunday’s trip to Levante for the team’s final road game of the year and second-to-last overall. Kickoff of the Week 37 La Liga clash is at 8.45pm CEST on Sunday night. Ter Stegen, Cillessen, N. Semedo, Piqué, I. Rakitic, Sergio, Denis Suárez, A. Iniesta, Suárez, O. Dembélé, Coutinho, Paulinho, Paco Alcácer, Jordi Alba, Digne, André Gomes, Yerry Mina, and Vermaelen. Samuel Umtiti has knee discomfort and SergiRoberto is suspended. Also not going are LeoMessi and AleixVidal, both due to coach’s decision. 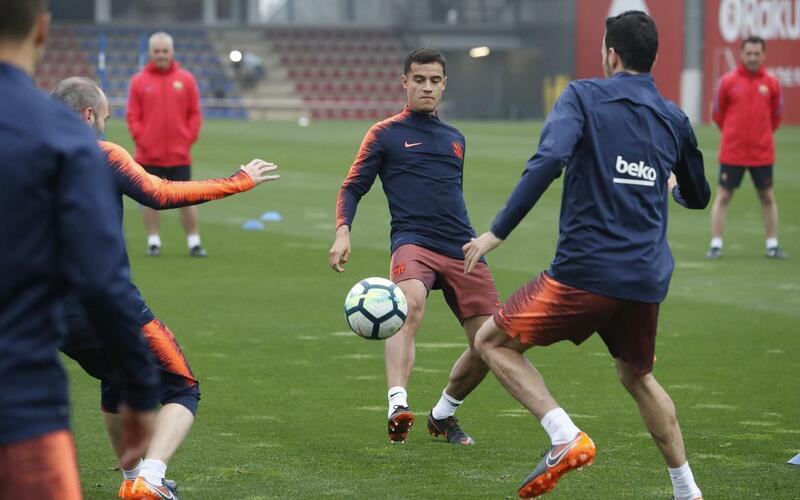 Barça trained for the final time on Saturday afternoon at the Ciutat Esportiva Joan Gamper. The aforementioned Umtiti did not take part, while Barça B’s Varo was included in the workout.